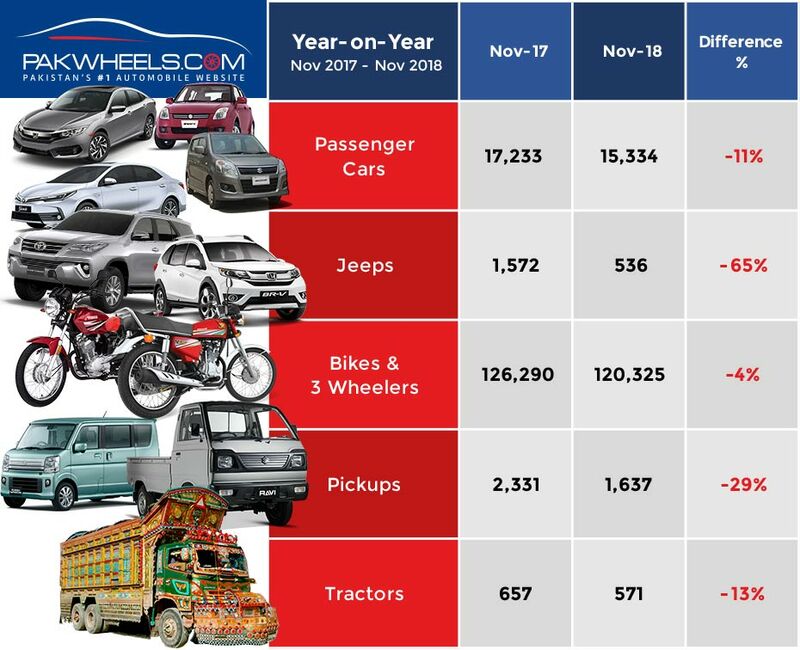 After two consecutive months of high sales, the auto sector faces a major plunge of 28% to 15334 passenger cars sold in November 2018. However, in October, the total units sold were 21342. The sales trend remained the same for every category, in fact, car sales have also gone down by 11% year-on-year. There could be many reasons for this sudden decline in sales, but mainly, as the year is about to end, usually people wait for the next year so their cars can be registered for the new year. 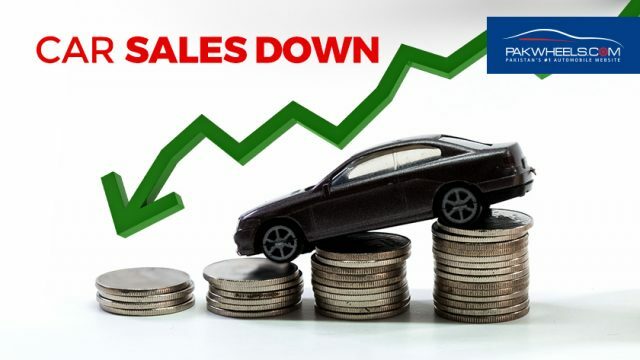 Apart from this, the rising dollar and increasing car prices remained the two main reasons throughout the year for the sales downfall. In the 1300cc category, the month-on-month sales of Honda Civic and City went down by 29% to 3152 units sold. The total sales of Toyota Corolla fell by 11% with 4957 units sold in November 2018. 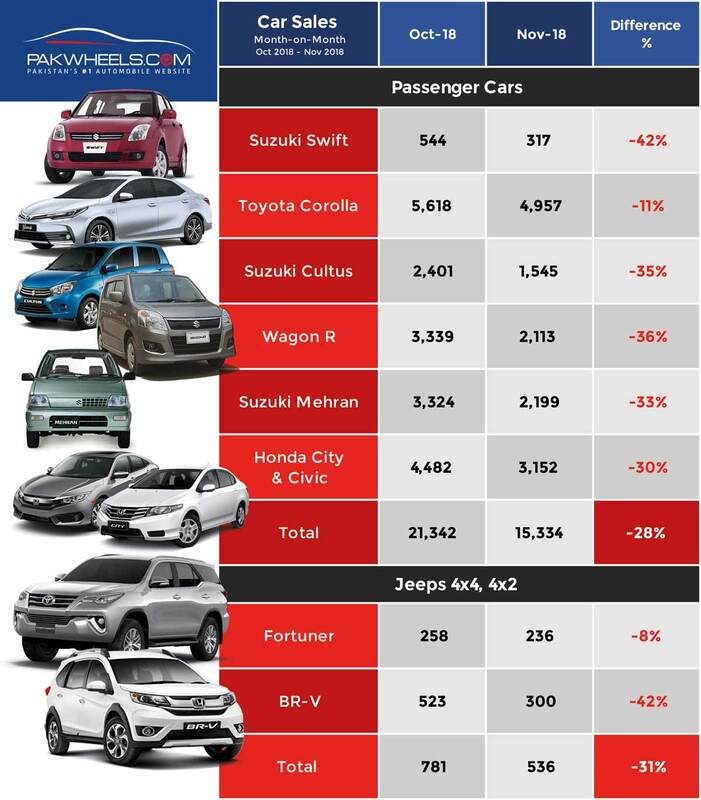 Suzuki Swift, on the other hand, saw a major decline of 41% with 317 units sold. In 1000cc cars, Suzuki faced a decline of -36% on a month-on-month basis. The total units of Cultus sold in November 2018 were 1545, and in October, the total units sold were 2401. The total units of Wagon R sold in November were 2113 with a decline of 36% month-on-month. In 800cc, the sales of Suzuki Mehran, the car that is soon to be discontinued, declined by 33% to 2199 units sold in November 2018. As mentioned, the sales didn’t go well overall; the sales of Fortuner also went down by 8% to 236 units sold in November. The sales of BR-V went down by 42% to 300 units sold. Apart from this, the sales of pickups and trucks have also gone down by 29% and 13% year-on-year, respectively. Coming towards the two-wheelers, the sales have declined greatly by 21% month-on-month, and 4% year-on-year. The total bikes sold in November were 120,325, out of which, Honda sold 90,016 units, while Suzuki, Yamaha, and United sold 1849, 2019, and 26,441 units, respectively. **Disclaimer: This data is taken from the website of PAMA, and PakWheels will not be responsible for any discrepancy in the given data. This was not unexpected. Continuously increasing prices of cars and providing no additional features to justify the increased prices results in lower return value for money when buying cars. Hence, consumers will either buy a cheaper new car other than one initially aimed for or forego buying a new car and instead opt for a used one. Much of this has also to do with the fact that a non filer cannot buy a car however it will only yield results if this trend continues the next year as well. The good thing is that our streets are already jammed packed and our existing infrastructure is not enough to cater all those vehicles. Something should also be done about those Chonda. They are a major nuisance on the road. Agree 100 percent. This is a great news for us customers. I hope the new car sales plunges to 0. 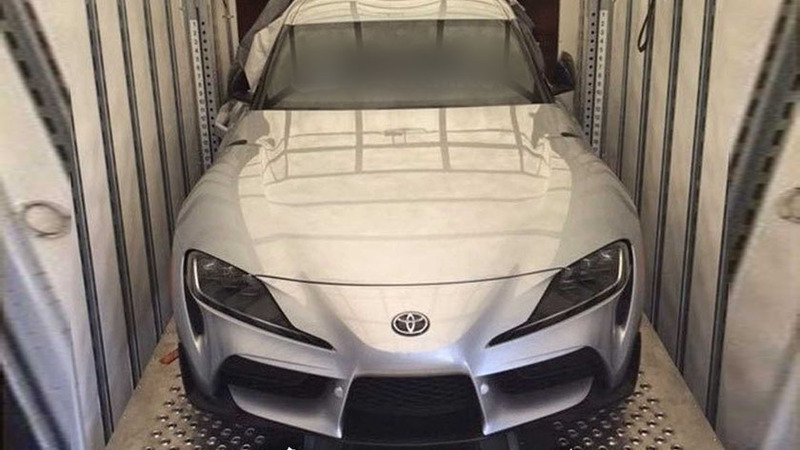 We need to boycott these latest pathetic, ugly overpriced Japanese cars, and buy used or imported cars. Maybe then they would be forced to cut price, or ship the heck out of Pakistan. the year is about to end, usually people wait for the next year so their cars can be registered for the new year. This explains the situation, but I would have loved to see our nation boycotting the big 3 mafia. But right now it’s too early to be true..